As the S&E Library renovation project advances we welcome input from the UCSC Community regarding the type of space affiliates value and would like to see. By taking the 2019 S&E Library Survey you can provide the library with valuable insight for the next phase of the third floor renovation and voice your priorities all in under 3 minutes! 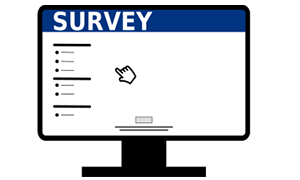 The survey will be open until April 12, 2019. For general information about the Science & Engineering Library as well as the renovation project visit the S&E Renovation Guide.